Today post would be giving you the Hari raya vibe already. 1 week till we celebrate the month of Syawal and of course, it is going to be filled with lots ok colorful and sparkling scenery of you know, the Hari Raya. 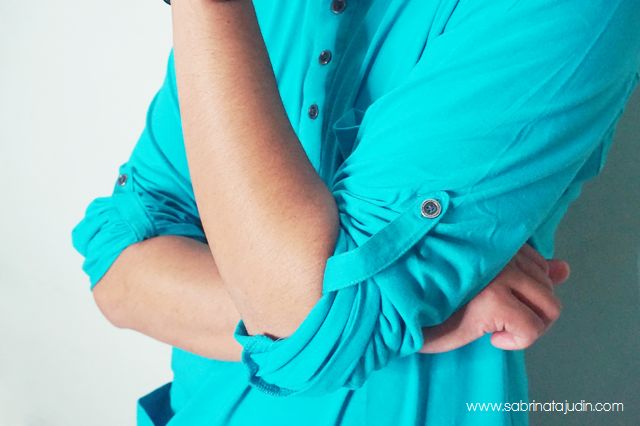 Today post is going to be about Baju Melayu. Not an ordinary Baju Melayu that you used to find in the market. A pretty much more casual and sempoi baju melayu that I love seeing my man wearing it. If you are not familiar on what is a baju melayu, basically a baju melayu is a traditional Malay clothes usually worn during festive season, and prayers. Usually they comes in two piece. 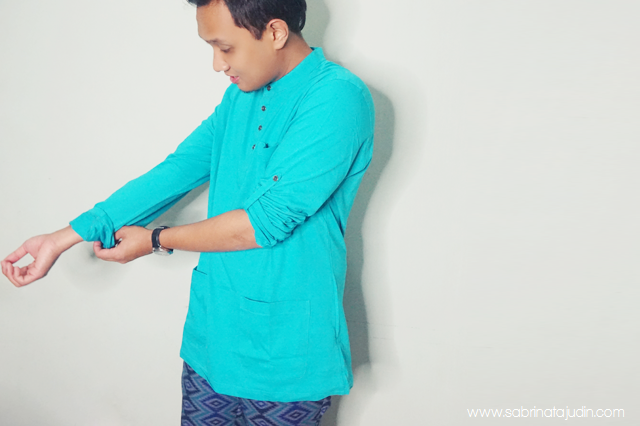 Today I'll be featuring a baju melayu from a cool local homegrown brand, Fidae. Let's get on to the detailing. The Baju Melayu i got for my man is the Cotton Baju Melayu & Batik Pants. They are sold separately, so you can mix match it yourself. Comes in so many color options you can check out. What I love about it when it came in the mail, is that it is packed in a box. On each piece you can see their labeling on it. Looks super neat. The top it self is easy to wear, very comfortable and feels like just wearing T-Shirt he said. He said its like formal but not too formal. Haha. He understand better. They are made 100% Fully Cotton just like a T shirt fabric, with a relaxing fir cutting. They comes in 5 different sizes which are S,M,L,XL,XXL. It is easy to iron and wash. The batik pants is a drawstring pants and it self is super comfortable too, during other days, you can mix match either two of these pieces with other garment. 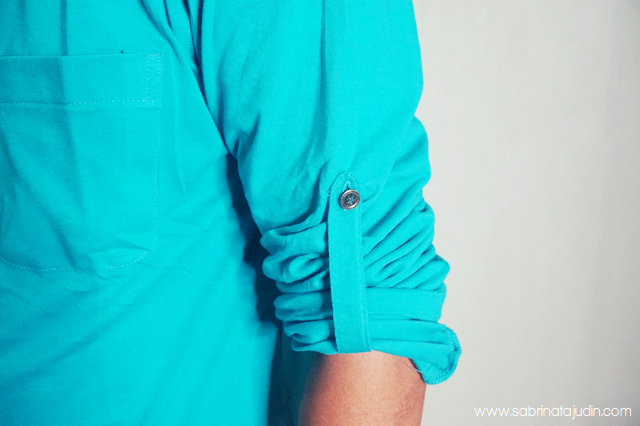 Made from 100% fine cotton and detailing such as 2 side pockets and 2 back pockets. Here are some of the colors that they are available. They are selling fast so be sure to check out. You can purchase this for raya or even for any occasion for your man, or if you are a man, you can buy it for your self or gift it as a gift. 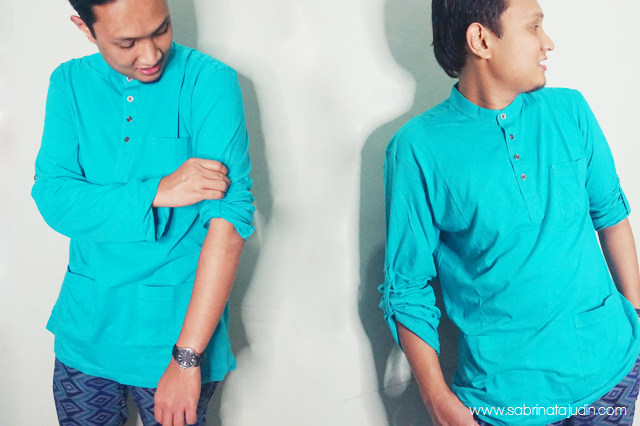 It is a truly essential baju for you to wear during this festive season or during prayers.